Second, I’ve been genuinely atrocious about watching TV this year. I am sure this is shocking with how much I’ve already talked about being culturally-delooped in the last twelve months, but it bums me out far more than my movie-watching falling by the wayside. Television is my favorite. Well, after books. And this list is proof that I have ignored my love for too long. I mean, I watched 237 episodes of TV this year. Last year, I had watched that many by the first week of March and had watched another 831 by the end of the year. I’m slipping. But on to the list anyway! Parks and Recreation is probably my favorite show of all time. I’ve loved it for such a long time now that it obviously shouldn’t be on a list of shows I just discovered this year, but since its last season is about to air and it’s one of the only shows I watched and rewatched this year, it’s taking a spot. Parks and Recreation is really important to me because it helped me understand that what I want from a sitcom is found-family and kindness and characters that are full and care about each other. Some instances aside1, Parks hits all of those points hard. Leslie Knope should be a hero to all human beings alive on earth and Leslie and Ben’s relationship is probably my favorite TV romance of all time. The only reason Broad City is this low on the list is because I’ve only gotten a chance to watch the pilot and though that may seem a narrow margin on which to stick it in my list of favorites, you must also consider that I’ve seen a lot of gifsets on Tumblr. Okay, maybe that’s slim reasoning anyway, but Broad City has awesome, funny women! And great, painful awkwardness! And FRIENDSHIP. And great jokes. And a legit understanding of reality. And awesome secondary characters! And cameos! And that was just the pilot. How can you argue with any of that? You can’t. 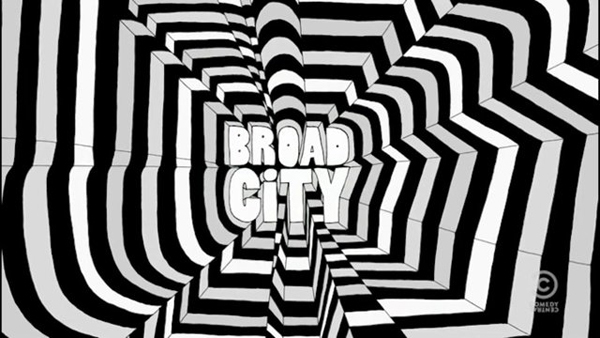 2015 has Broad City‘s name all over it and I can’t wait to see more. I know that The Goldbergs isn’t a show that someone childless and under the age of 40 is supposed to like. 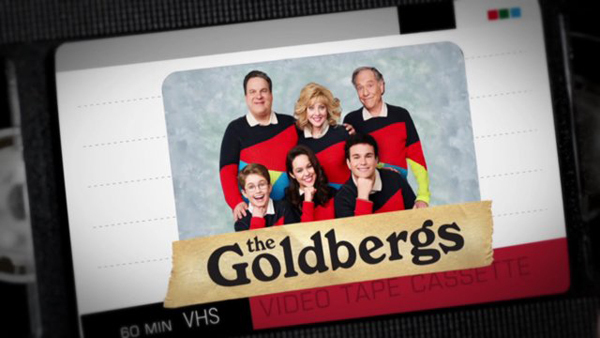 The Goldbergs isn’t cool or hip or edgy or ground-breaking. It’s a nice, kind, sitcom with narration done by the living embodiment of a douchebag2. It’s manipulatively nostalgia-laden, often to complete disregard for the actual timeline of pop culture and human development and it can be a little… You know, family sitcom-y. But every episode makes me feel good. It makes me laugh. It reminds me of my family who I actually like a lot. It, of course, reminds me of things I loved when I was young and it just, it never makes me feel bad. The Goldbergs are not a chosen family, but they are family who makes the best of what they have by caring for and loving one another, even when they’re at their worst. The jokes can be… not great, but the heart of the family is what compels me to keep watching. Good people trying their hardest. Love it. 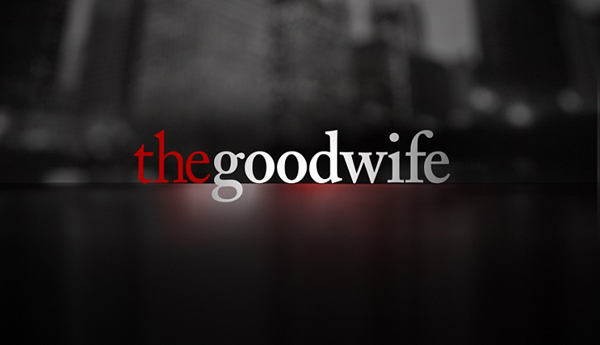 I started watching The Good Wife while I was sickly in the beginning of the year because all the seasons were on Hulu and I was spending a lot of time on the couch. I didn’t expect to like it because, well, it seems like it’s for old people. And it’s on CBS, so I questioned its quality. But I was really wrong on both counts. It’s smart and is really funny and can be painful3 and it’s just super easy and enjoyable to watch. I think I finally gave in because of the constant chatter about it on Twitter because I figured, like always, “If these people I like like this, why am I not already watching it?”4 and it definitely deserves the praise it gets. 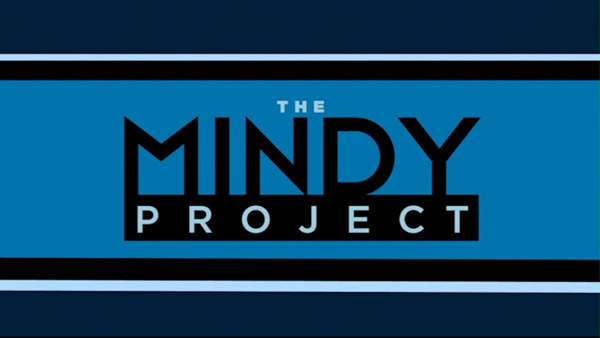 I did not plan to ever watch The Mindy Project. I like Mindy Kaling a lot5 and I wish I were 1/10th as smart and talented as she is, but the previews all made it just seem terrible. Like, legitimately awful. And even as I watched the pilot earlier this year, I tweeted about how painful the pilot was to watch. It was just… so bad. So much potential, but so badly managed. Thankfully, as I was advised, it got better. And even though I still watched those unbearable early episodes, it ended up totally being worth it. I love everyone’s weird interactions and their goofy exchanges and how hostile everyone can be even though they love each other. It’s got that found-family feel except it’s like everyone hates each other a little bit more than you should in a found-family, but it never gets so mean as to lose its heart. I love the Danny and Mindy dynamic6 because I always love when people who are going to date kind of hate each other. Basically, The Mindy Project hits the things I love about sitcoms — friendship and found-family and lots of goofy, awkward laughs — but it’s like, the slightly meaner version of it. Plus, I love that it’s so excruciatingly awkward and as I’ve gotten older, I’ve gotten so much better at not only tolerating it, but loving it. I love Mindy Lahiri and I love her beguiling group of idiots. 1: I don’t like how the show often treats Jerry/Garry/Larry and it bums me out that a show with such a warm heart can be so weirdly and needlessly cruel, particularly when it feels so counter to what the show wants to be and do. But, you know, you can’t have everything. 2: Patton Oswalt is categorically terrible. That article doesn’t even really touch the surface of his embarrassingly stupid pond. 3: I haven’t even gotten to that point yet and I am already in deep and unending pain about it. I’ll never be ready. 4: This happens often. Currently, I am killing myself because I haven’t watched Fargo yet. 5: With the caveat that I think she tends to uphold a lot of stereotypes — gender and sexuality in particular — in her work that bum me out, but I find this often turns out to be true of comedians that I love and it is always more disappointing with the women because I expect men to be terrible. I’m reading Bossypants (FINALLY) right now and I keep groaning and lamenting that the people I love aren’t more perfect. LIFE. 6: I haven’t gotten to the fruition of that tension yet and I am not looking forward to it because shows almost always handle it so, so poorly. Looking at you, New Girl. 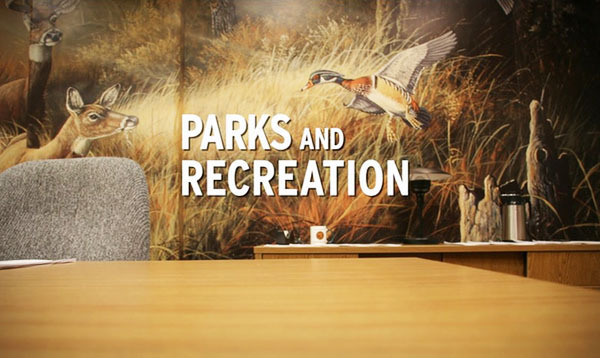 Applauding you, Parks and Recreation.